We cover what we can when we can here. We listen to your feedback in comments and in person, if you’re fortunate to corner one of the team. 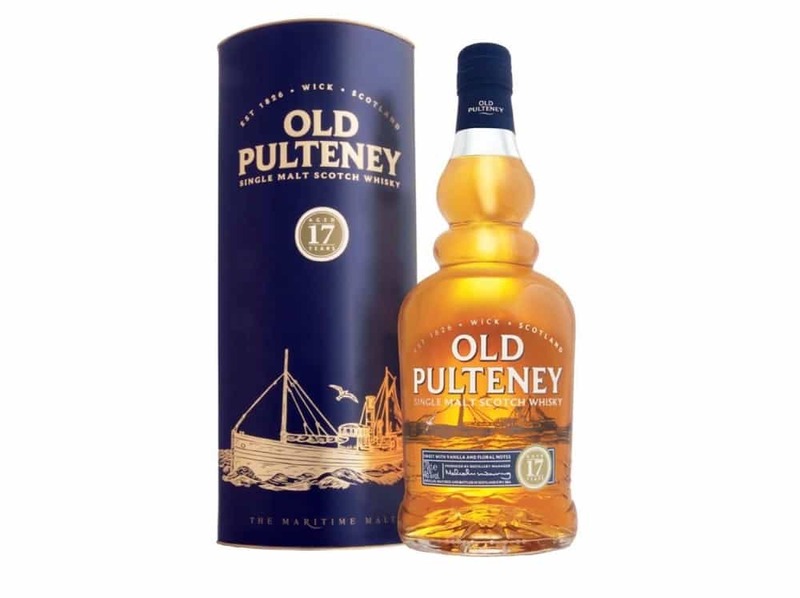 Based on these channels our thoughts on the new Old Pulteney range are long overdue. Recently, I found myself in Glasgow for a Ralfy charity tasting that also turned into post-event whisky celebration at the Pot Still. Meeting complete strangers many of whom had great respect and appreciation for what the team do here daily. Very humbling, and several turned out to be Patreon supporters so thanks again. Due to an efficient bus service from Fife, I found myself with a spare hour prior to the festivities. Needless to say, I headed to the Pot Still on a dreich Scottish morning – it always rains in Glasgow – for some suitable refreshment. While this vibrant city lacks worthwhile whisky shops it more than makes up for it when an assortment of classic traditional boozers. These environments shun the hipster trappings evident in some Edinburgh bars and ridiculous prices. The Pot Still has 700+ whiskies and the bonus is the 35ml pour. Sizeable is the word. This lets you appreciate the whisky in greater detail and for someone like myself always on the lookout to plug a few online review gaps. A worthwhile destination whenever I’m in Glasgow, which I acknowledge isn’t frequent enough from the warm welcome I received upon my visit. Thanks to this flying visit, today we have 3 of the new Old Pulteney range to review. For transparency fans, this trio cost me a combined £24, which I think is a fair transaction. I expect some bars in Edinburgh would potentially charge that for the 18 year old alone and a 20ml pour. Missing is the 12 year old expression and that remains on my hit list for a future review but hopefully, you’ll enjoy this trio and wee vertical. This new core range was launched in August 2018 and spelt the end for the well-respected 17 and 21 year old expressions. The iconic bottle shape remains and the labels have been scrubbed up with new boxes to accompany them and an unsurprising price increase. The entry level will remain the 12 year old and this may have lost some of its gloss of the years but still remains an everyday sipper that ticks a box. Arguably the most intriguing arrival is the Huddart no age statement release. Visitors to Wick will recognise the name as being where the distillery is located, sandwiched in-between stone weathered and blackened houses that echo a sense of time standing still. It is bottled at 46% ABV and will set you back around £43.95 from the Whisky Exchange in London or £43.95 via Amazon. Featuring ex-bourbon and 2nd fill American oak casks, these are then vatted and finished in ex-bourbon casks that previously played host to a heavily peated whisky. Beyond the 12 awaits the clutches of the 15 year old. This will set you back around £70 via the Whisky Exchange or £68.95 from Amazon and is also bottled at 46% ABV. In addition, the whisky is a mix of 2nd fill American oak and ex-bourbon casks before being finished in 1st fill Spanish oak ex-oloroso sherry butts for an unspecified period. The pinnacle of the core range will be the 18 year old that will hit the heights of £115 a bottle from Amazon or around the same price via the Whisky Exchange. The components of this release are the same as the 15. If you were a fan of the 21 or 17 then these prices and recipes might come as a disappointing development, but we’ll see where the conclusions takes us after the tasting notes. On the nose: Apples and a slight peatiness. An odd chemistry, this doesn’t feel like Pulteney although the visitor centre often offered a well aged bottle your own from an ex-Laphroaig cask. Oat biscuits, margarine and some syrup sweetness. It’s a bit flat in all honesty. Peach stone and then oddly a cheesey note that’s off putting. Cheese with sliced apples. Hmmm, not what I want from a whisky and where’s the classic Pulteney character? In the mouth: A clutch of meadow fruit and then the peat steps in. Dominant but not overpowering. Attempting to hide the cracks. Buttery, autumnal, almonds, cookie dough and earthy on the finish. A rather thin texture. More flatness and this is whisky by the numbers and lacking any distillery DNA. On the nose: Very ripe apples sit comfortably alongside mangoes and pear drops. There’s a comforting nature with vanilla sponge and a tea leaf freshness. Juicy fruit chewing gum, candle wax, peaches and a light runny honey. In the mouth: A little threadbare in all honesty and lacking a defined texture. A nice prolonged salted lemon finish but lets back up for a moment. Withered apples, a creamy vanilla with crushed almonds and a sprinkling of ginger. A sense of raw pastry dough, salted peanuts and some disappointment. On the nose: Cinnamon swirls with the emphasis on a buttery pastry. Marzipan and freshly baked shortbread, sliced lemon and a honeyed aspect. Olive oil, rubber jelly sweeties with apple peel and Elderflower. A drying flour quality with a light toffee and orange sherbet. In the mouth: Very plain, surprisingly so. A light smoke greets us with a drying quality. A light caramel brings more familiar flavour followed by honeycome and malt. A trace of salt and ice cream wafers, and a gentle orange quality. It has a clamy, enclosed sense. Cloying almost and not revived by water. I’m somewhat disappointed by this vertical. It feels like a backwards step for the distillery. An assortment of whiskies that lack definition and the characteristics that we love to smell and taste in a Pulteney. New packaging and labels can only cover so much. The actual whisky experience will determine whether the asking price warrants the entry fee. And here the unanimous verdict is no. I’m not entertained, I’m not even moved except by the sense of disappointment and realisation that Pulteney can do better. I’ve tasted it, you have hopefully as well. This range is selling us short and in the pursuit of profit in today’s chaotic whisky environment, another distillery bites the dust. There are some commission links within this review for your convenience but this never affects our opinion. 2nd photograph from the Whisky Exchange. Sad news, since the old 17 YO was both excellent and affordable. Seems like more and more distilleries are moving in the wrong direction … made possible by supply/demand, I guess. Or, in most cases, good old fashioned greed. Yes, everything sells currently and few ask questions sadly. Hi WT, yes best avoided and search out the some old bottles if you can find them somewhere. These Pulteneys are disappointing. In a bumper market with plenty of new whisky fans who don’t know better yet. These bottles seem to be deployed with that market in mind and a higher price. Cheers, Jason. It’s a race to the bottom these days! The range of aged malts of acceptable quality and price seems to shrink almost daily. And there are only one or two NAS bottlings I can palate. Strike another off the list then! Yes I’d look elsewhere. Hopefully we can cover a few new ranges soon. I wonder if they did any focus groups? If your feelings are similar to a majority of consumers this could really hurt a distillery. The market is already getting crowded and to take a “Home Run Whisky” and replace it with something inferior makes no sense IMHO. Sounds like grab a quick profit now at the expense of the future. What puzzles me most is now with all the Whisky Tubers and reviewers, bad news travels very fast. Did they really think this would be better? What would lead them to this conclusion? Sounds like they are sacrificing good casks…Feels bad. Glad I bought an extra OP 17. Was going to try the 15, but this is the second review I have seen that said it was disappointing. Looks like OP lost a customer in me. Hi Everwind, I speculate the market is so prosperous currently that many distilleries believe they can get away with such things. A name will only take you so far as will a reputation. Once it’s gone, it is very difficult to reclaim and I fear for distilleries that do this. Pulteney isn’t alone and I’m sure won’t be the last, sadly. Cheers, Jason. Totally agree with your tasting notes and with comments from other readers here. I was (un)lucky enough to attend a tasting of BalBlair and Old P’s but the disappointment in tasting the latter was huge. The consensus in the room was that both the 17 and 21 will be missed and the new boys on the block need to improve. I usually take a bottle or two from these tastings, in not buying any gave my verdict. Old Pulteney seem to be living on reputation alone, but with these new bottlings it is going to be tarnished, and soon. 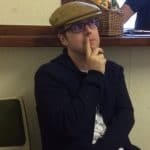 Great read as always Jason. Thanks, Newckie, always pleases me that someone else out there shares a sense of disappointment around this new range. Sometimes I feel like the odd one out at the party. That’s the benefit of being true to yourself and helping others. Such a shame as Pulteney can be great as we know. I’ll probably stick to the independent releases now. Lots of choices such as the Benromach 10yo, GlenDronach 12yo, Cragganmore 12yo and Clynelish 14yo spring to mind. Also, Balblair is another possibility. If you need more suggestions let us know. 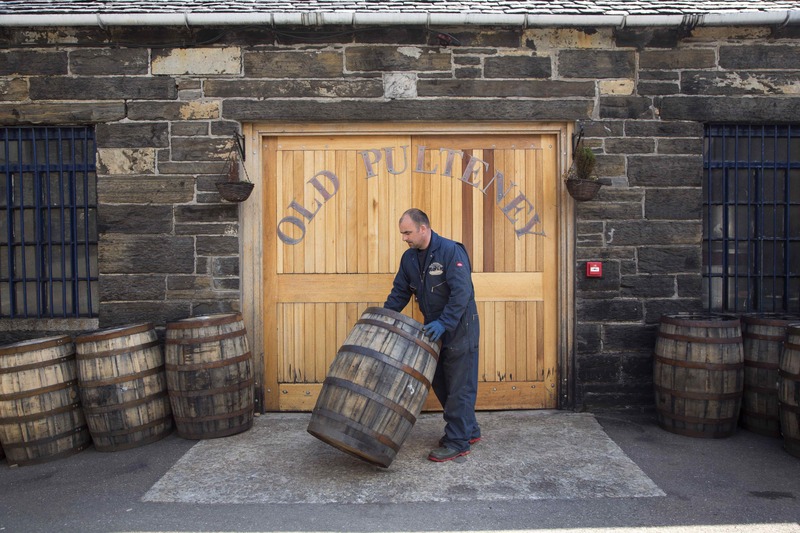 A trip to Old Pulteney is long overdue and visiting relatives in Sutherland provided the perfect opportunity to finally head further north towards Wick and..